3D printing has been around for awhile now, but it has finally come up with something that truly grabs my attention. They have finally started to use 3D printers to make custom bikinis. Unfortunately, no one has come up with a way to use a 3D printer to create a bikini model. I suppose that will come with a future upgrade. For now, we have to do it the old-fashioned way - either pay them lots of cash to show up or convince them you're European royalty. Arizona Secretary of State Ken Bennett recently threatened to remove President Barack Obama from the ballot this year in Arizona due to concerns that President Obama wasn't really born in the United States. He asked the State of Hawaii to confirm the validity of his birth certificate once more. However, the State of Hawaii hasn't responded to Secretary Bennett's request. This is likely because the Republican Governor of Hawaii Linda Lingellsigned a bill into law two years ago making it their state's official policy to ignore such requests because they are so ridiculous and troublesome. On behalf of Democrats everywhere, I would like to express my profound gratitude to Secretary Bennett and birthers across this great nation. It would normally be very difficult for a sitting President to be re-elected with unemployment as high as it is and with approval ratings as low as President Obama's are. Sometimes I feel like writing a novel is like giving birth in slow motion. Former Governor of Michigan Jennifer Granholm argued in The Huffington Post that Mitt Romney did nothing to save Detroit. What a coincidence! Neither did she. Why, yes, there is a place where an ordinary guy like me can rent a helicopter gunship to pump round after glorious round of 7.62 mm ammunition into the side of a mountain. Full details of this are available on the hotel's web site. Do we live in a magnificent country or what? The only question that remains is: who wants to go with me? The folks at Web MD published a quiz recently to highlight "Bedroom Mistakes Women Make." Surprisingly, not bringing a sandwich was not one of the ones they talked about. Adam Yauch, co-founder of the Beastie Boys, past away today at the age of 47 after a lengthy battle with cancer. Back in the late 1980s and 90s, I used to hate the Beastie Boys. When one of their songs came on the radio, I always changed the station. It was only really in the past decade or so that I've realized the pure beauty in the rebellious, if at times obnoxious, nature of their music. 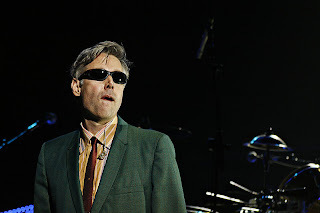 Adam Yauch, you will be missed.